Yes, it’s true. The secret to a lot of things is in the sauce. Stir-fry is an easy weeknight meal and a great way to get in a lot of vegetables in one meal. Today’s recipe is not really for the stir-fry itself, but rather for the sauce that goes in the stir-fry. 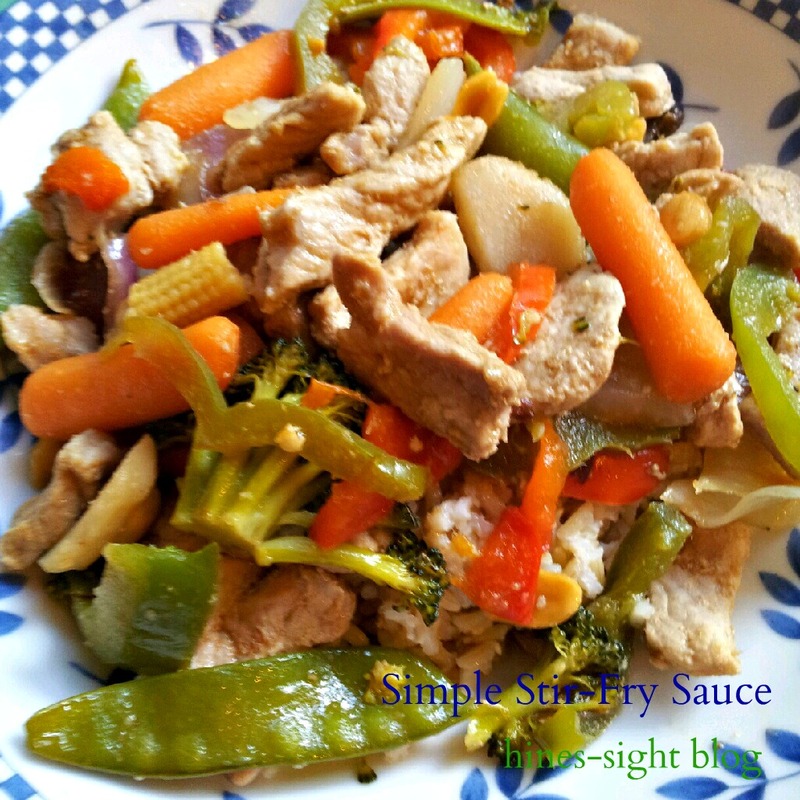 I use this simple stir-fry sauce as my base. I use it mostly with pork and chicken. I’m sure it would work well with beef, tofu and shrimp, too. For the stir-fry recipe in today’s photo, I sautéed chicken strips in sesame oil along with garlic and ginger. I bought prepackaged stir-fry vegetables from Trader Joe’s. How easy is that? Once the chicken is cooked, toss in the vegetables for about five minutes, or until the vegetables are cooked but still crisp. Add the homemade stir-fry sauce to the wok and cook about two to three minutes until the sauce is heated. I also like to add pineapple to the stir-fry, so I usually add the fruit when I toss in the sauce.